With sweeping views of Oregon’s Coast Range, David Hill Vineyards & Winery is one of the most picturesque wineries in the region. The tasting room is located in a historic farmhouse, originally built in 1883. 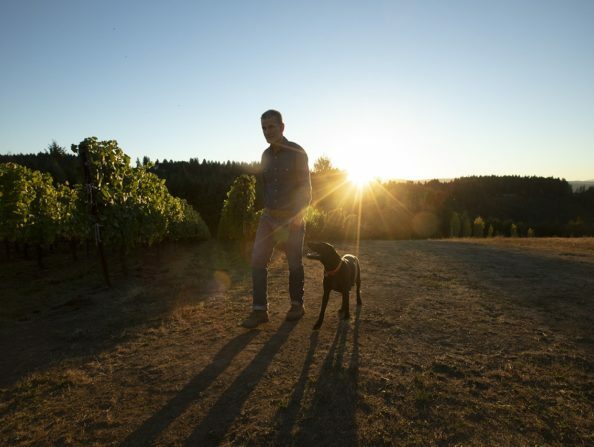 The farm is 140 acres in size with 40 acres of Pinot Noir, Pinot Gris, Riesling, Chardonnay and Gewürztraminer and some of the oldest vines in the state. The grounds and farmhouse are available for special occasions and impromptu picnics are welcome. Visit the tasting room and sample David Hill’s fine estate wines and award-winning Port. Winery views, premium wines and friendly staff create an environment for a memorable occasion. This venue is available for events, whether a corporate meeting, birthday party, anniversary or private wine tasting. A full kitchen is available for the catering company of your choice. Please call ahead for parties of six or more. Open daily, 11 a.m. to 5 p.m. and until 3 p.m. on New Year’s eve. Closed all major holidays except New Year’s eve.